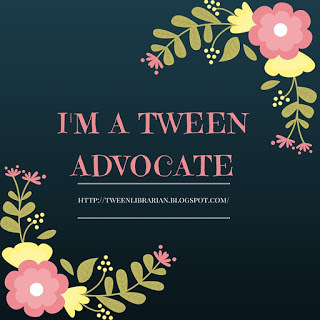 Julie Jurgens is a children's librarian who blogs at Hi Miss Julie. After writing out all of my selections, I realized how many of them would be great read alouds. If I can emphasize anything, it would be that reading aloud to children shouldn’t end at kindergarten! The more children can hear expressive, fluent reading, the better readers they will be (in my unscientific opinion). Teachers, give it a try! Librarians, schedule some older kid storytime programs or reader’s theater! Okay, agenda pushing over, on to the books! I don’t remember many of the details of my childhood-- frankly, not a whole lot of it was worth remembering--but I do remember vividly the books that most comforted and thrilled me. 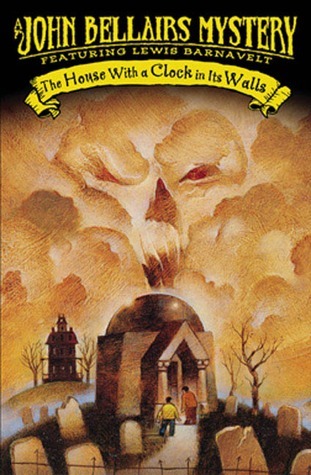 The first and foremost would be The House with the Clock in Its Walls by John Bellairs. How, pray tell, is a mystery/horror novel illustrated by Edward Gorey at all comforting? Because Lewis Barnevelt is my awkward upper elementary soul mate. Chubby, fidgety, orphaned, Latin quoting Lewis Barnevelt--even as I was so glad to not to be him, I seriously wanted to be his friend. Further, I wanted his adopted caregivers, warlock Uncle Jonathan and witch Florence Zimmerman, to be my guardians (although now, in my thirties, I frankly would love to date Uncle Jonathan). In a time when younger and younger kids are routinely watching gory movies like Saw, this seething, atmospheric piece might be a hard sell, but if you can book talk the heck out of that creepy, assiduously ticking doomsday clock, you’ll definitely hook some readers. I’d also strongly suggest this book as a classroom read-aloud--with the right reader, kids will be sucked in immediately. Even better, scan and blow up and project Gorey’s illustrations to up the spooky factor! This is a perfect third grade book, and another one of my childhood favorites. It takes fairy tale tropes and turns them on their head. 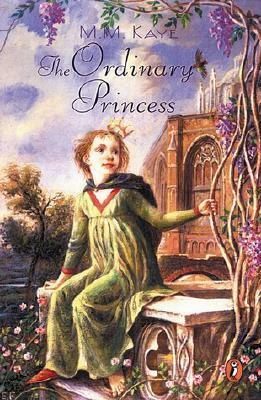 The story of Princess Amethyst Alexandra Augusta Araminta Adelaide Aurelia Anne of Phantasmorania opens much like the story of Sleeping Beauty, with a royal birth, a procession of gift bestowing fairies, and one fairy who feels slighted. In this tale, instead of a curse of eternal sleep, the slighted fairy bestows upon the princess the gift of being ordinary. Princess Amethyst--who goes by the very ordinary name of Amy-- eventually runs away from home to avoid being married to a stuffy prince. In her adventures, she actually finds a prince who shares her same ordinary sensibilities, and lives happily ever after. Again, this book is a perfect read-aloud, and is included in The Read Aloud Handbook by Jim Trelease. Selzer’s a master of writing novels for children and teens that work on multiple levels, and like one of his major influences, Daniel Pinkwater, Selzer isn’t afraid to push any and all boundaries. 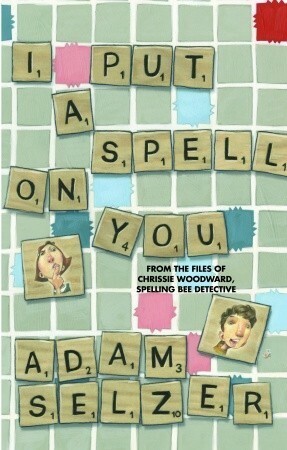 I Put a Spell on You is the tale of the annual spelling bee at Gordon Liddy Community School, which is rife with corruption and insanity, and only intrepid reformed tattle-tale Chrissie Woodward can crack the case. This book is told using a variety of text types--interoffice memo, first person narration--and by a variety of viewpoints, which ups the text complexity (ding ding ding)! If you couldn’t tell from the school name and Chrissie’s name, this novel is chock full of allusions to and riffs on the Watergate scandal. So, a background knowledge of the Nixon administration could add a layer of enjoyment, but it is absolutely not necessary. The target audience can read this book strictly as a goofball, mystery narrative, while a middle school or high school classroom could use it as additional reading when they are studying the politics of the sixties in social studies class. Oh, my darling Clementine. Clementine is the quintessential oddball third grader who makes questionable yet hilarious decisions. In this, her first outing, Clementine gets angry with her friend Margaret, cuts off some of her (Margaret’s) hair, then tries to fix it by coloring her scalp in with a permanent marker. And that’s just the beginning. Clementine has several books in the series now, so once kids get hooked, they’ll be able to continue enjoying Clementine’s adventures. 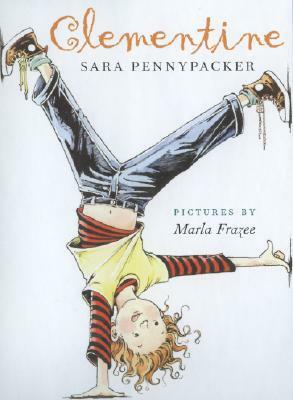 Clementine is a modern day, urban Ramona Quimby, which is high praise for any middle grade novel. In a challenge to myself, I picked up this book because it’s a middle grade sports mystery, three types of fiction that I normally don’t read, and I was so glad I picked it up. Berk’s writing is fast-paced and funny, and the characters--Lenny and his friends Mike and Other Mike--are quirky and engaging. My favorite part of this book is the opening prologue, which puts us right in the backyard with Lenny and his friends, deathly afraid that they are about to be done in by a mysterious antagonist. 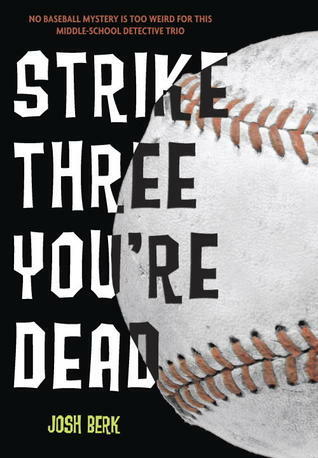 Hand this to fans of sports, mysteries, or humor.